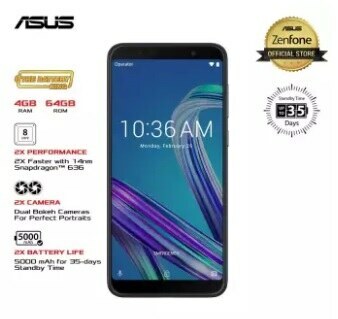 The Asus Zenfone Max Pro M1 offers gaming level quality at an entry level price. This smartphone comes with an octacore 1.8GHz cpu, a Snapdragon 636 chipset, and 3GB of RAM. It brings you the power and processing you need to play your favorite mobile games. Enjoy gaming on the 6.0 inch IPS LCD screen. The, when you are not engaging in your games take some quality photos with the 13MP + 5MP rear camera. You can even capture your moment of victory with the 8MP front camera. Using the phone will be a breeze too thanks to the pure Android 8.1 Oreo. Get your gaming fix with the Asus Zenfone Max Pro M1, only Php 9,995.